Content saturation is perhaps the biggest problem facing marketers in the coming years. What does it mean? Quite simply, there is more content out there than we could ever hope to read! At the time of writing, 4.1 million (MILLION!) blogs had been written and published in the last 24 hours. If you want your type content to stand out, you need a new approach. One option is breaking out of the blog format entirely. There are plenty of other methods of publishing content, each more powerful and viral than your average blog article. While the initial excitement over infographics has simmered down lately, they are still a slam-dunk piece of content. 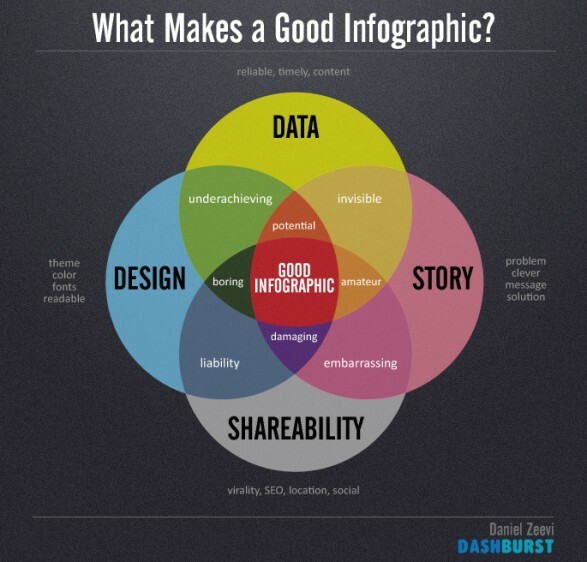 A number of studies have shown that infographics are shared three times as much as regular content. That’s a whole lot more views, more prospects, and potentially, more sales. Infographics are great for displaying data and research in a bite-size, easy-to-digest format. Since most people are visual learners, your readers will also take away more information. They’ll feel like they’ve learnt something, which is incredibly important for building trust and credibility. If you’re a whizz with Photoshop, you can fairly quickly knock one up yourself. Alternatively, a service like Visual.ly can help you create one. To find out more about infographics, we’ve rounded up some of our favourite resources on the topic. Let’s start with this Slideshare which uses statistics to explain exactly how much more impact an infographic can have on virality. If you’re looking for inspiration, visit Daily Infographic for tons of great ideas. But don’t forget, you can’t just mock up any old infographic and hope it goes viral. Check out Kissmetric’s guide to ensuring your infographic doesn’t stink! Here’s a fantastic example of a marketing expert going beyond his blog. Brian Dean regularly uses YouTube videos to go in-depth on a topic, in this case, organic traffic. This is yet another channel for him to engage readers and build a community. As Facebook and Twitter adopt (and indeed prioritise) native video, you can expect video content to become more and more important. Videos with views in their millions are no longer uncommon. YouTube is a natural place to start. It already has a built-in audience and it’s a social media in and of itself. Videos naturally spread and expand on the YouTube platform. Best of all, you can monetise video content in a simple and direct way. Again, here are some more resources on video content creation. Let’s start with the stats. A recent report by iMedia confirmed that video is indeed the most shared form of content. Of course, making a video isn’t always simple (or cheap!) However, you don’t need a high-budget studio to produce great content. Here’s a marketing video with 600,000+ views, and it’s just a guy with a whiteboard. All you need is a webcam! Lastly, if you want to take advantage of Facebook’s video option, here’s how to upload HD videos so it looks perfect. You can go one step further than regular video by conducting live streams. Live streams are great because they give your community a real insight into what’s going on. It feels more real, it feels exciting. It makes your community feel like they’re part of something bigger. Facebook are starting to run a trial system where high-profile accounts can stream live. This will soon be available to everyone, so you can jump on board when it becomes universal. Meanwhile, Twitter already has everything up and running with ‘Periscope’. 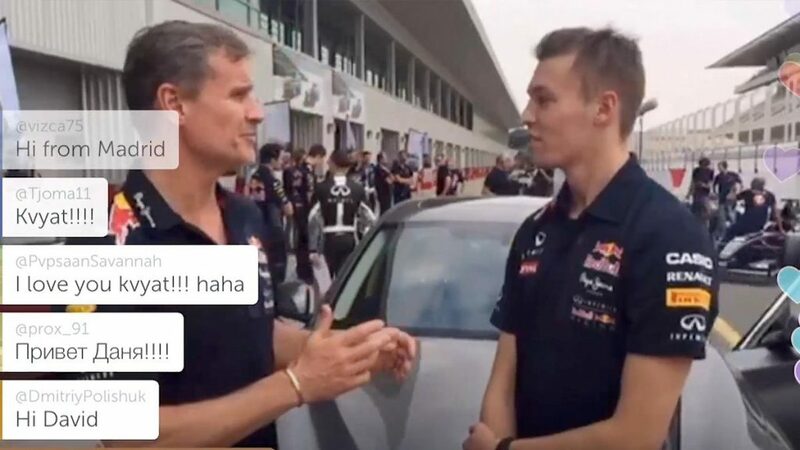 Red Bull, for instance, use Periscope to live-stream its various events from around the world - like this live F1 event above. 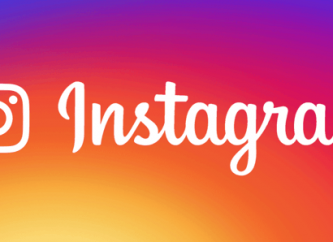 It’s a great way to share content on the fly and bring people into your world. If you’re still not convinced, let the folks at Social Media Examiner explain how Facebook live video is changing content for good. Media Planet also goes into detail about what live streaming means for content markets. Finally, Chris Ducker has some great, actionable advice on how to start live streaming on Periscope specifically. If you’re looking for the future of online publishing, look towards interactive content. So far, this has been a play toy for some of the bigger companies like The New York Times, Buzzfeed, and The Guardian. But it is becoming more possible for smaller blogs and publishers. You can start with something as small as a quiz. 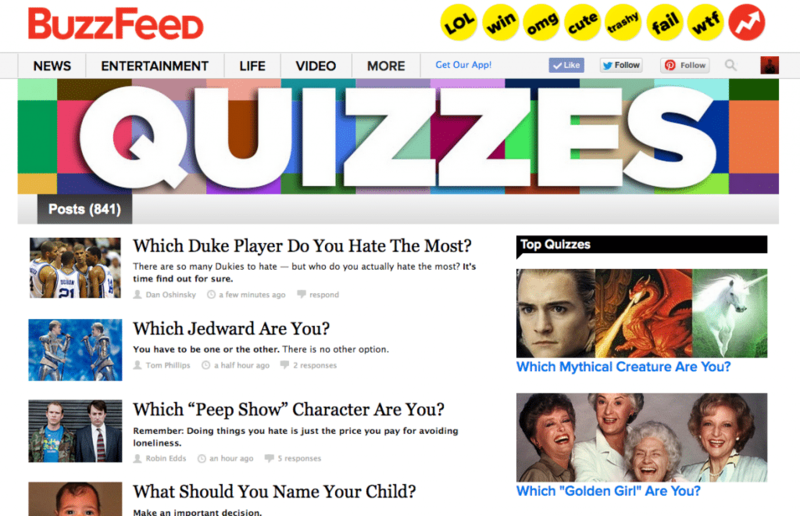 According to Buzzfeed, quizzes are one of their most popular pieces of content. They are interactive and engaging. They encourage sharing and social virality. Polls and surveys are another cool piece of content that people love to take part in. Best of all, you get to know a little bit more about your users. It’s free market research! You can do a similar thing with calculators. A dull (but super useful example) is a mortgage calculator. If you run a business blog, a calculator can be used to determine expenses or startup costs. Use your imagination here. 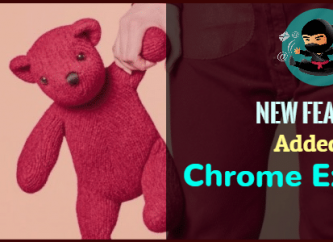 As always, time for some extra resources for you all. In a recent blog, marketing expert Jeff Bullas went in-depth about why interactive content is the new king. 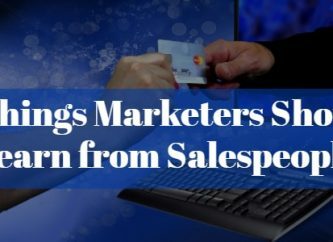 Then hop over to the Content Marketing Institute to find out three types of interactive content that actively drive leads. Lastly, check out Quizzr - one of the best platforms for creating a quiz yourself. The internet is becoming more and more visual. Attention spans are shorter than ever, and beautiful, graphic galleries are a great way to hold your community’s attention. 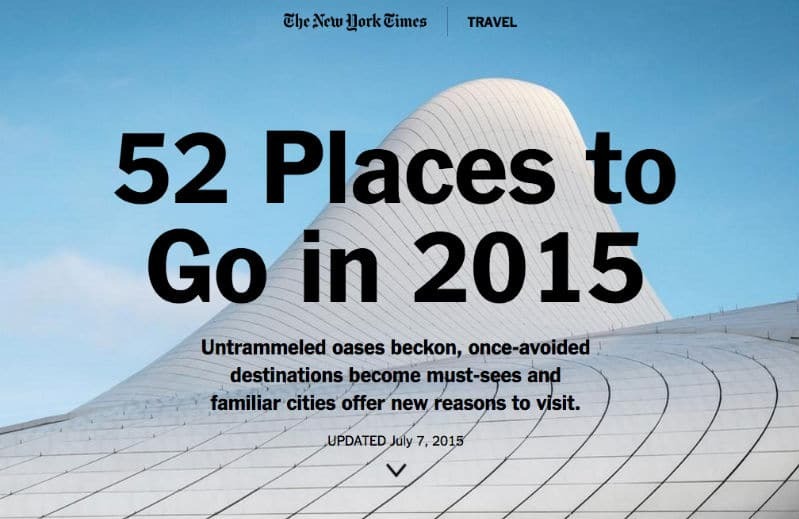 The New York Times’ fourth most shared post last year was a picture gallery. As for The Guardian, their second most shared piece of content was a gallery. They’re immersive, intriguing, and stimulating for your readers. Introduce your community to stunning imagery. It makes your website look fantastic, and it generates a lot of interest. Visit Business2Community to see how the power of imagery can boost your content marketing strategy. If you’re more interested in creating the photos yourself, learn a little how-to from Peta Pixel. And finally, unearth the best WordPress plugins to create your gallery at Hongkiat. 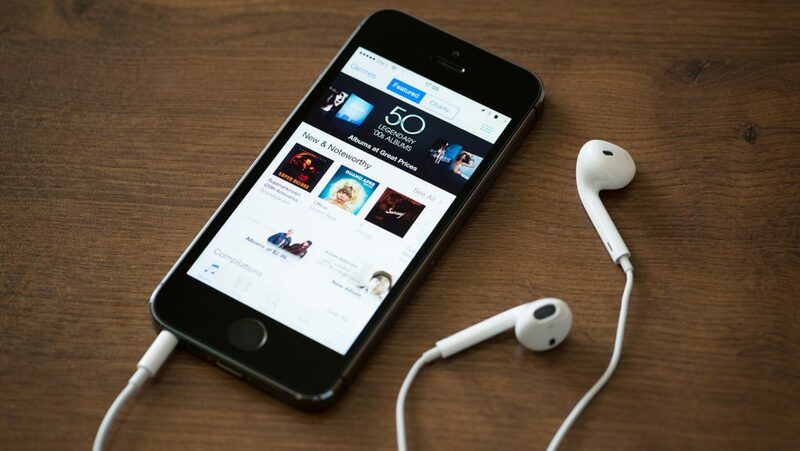 Podcasts don’t generally reach as many people as, say, a quiz or a photo gallery. However, for the people they do reach, they’re incredibly powerful. Podcasts are one of the best ways to create a real connection with your community. There’s something much more intimate about hearing a voice on a podcast that reading a blog. For many people, podcasts are part of their routine. It accompanies them on their commute or fills a lunch hour. By producing a podcast, you become part of someone’s daily routine. And that is a rare marketing gift! Podcasts are also relatively easy to create. In fact, you can make one with the audio software that comes with your computer. (Garageband or Logic Pro on your Mac, Total Recorder on your Windows computer). If you’re still not convinced, let’s start with a podcast about a podcast! In this episode, Despreneur talks to Tom Hunt (founder of Virtual Valley) about how he launched a number one podcast. John Chow backs this up by explaining why podcasts still matter. And if you’re more interested in the specifics of uploading your podcasts to iTunes etc, visit ShoutMeLoud. 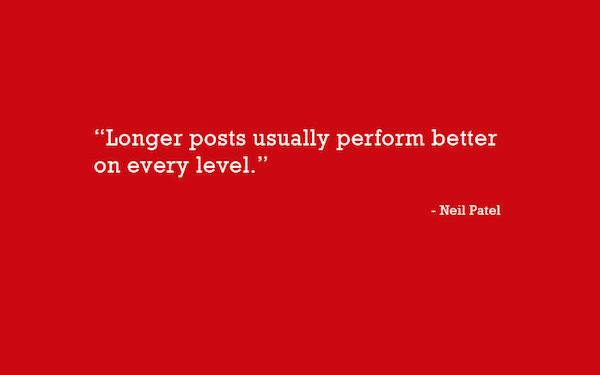 Take it from Neil Patel - one of the internet’s top marketers - blog content still works, but you’ve got to go in depth. Long-form content works better at every level, so shift your focus from the 500-word ‘me-too’ blogs that you see all over the internet. Choose a topic and go really deep. Aim for at least 1,000 words, and use detailed data and information. Why not host an interview with someone in your industry? Type up the answers and you’ve got yourself a completely unique piece of content. Try extracting some raw data or research from your own website or experience. It doesn’t get any more unique than your own experiences. And people are always keen to learn directly from others. Neil Patel isn’t alone here either. Take it from the experts at WordStream, long-form content is far superior to short articles. And if you think all the best ideas have already been taken, think again. The guys at Smart Passive Income used this blog to explain how find a niche in your blogging. And if you still don’t know what to blog about, don’t worry - we’ve all been there. Amy Lynn Andrews has some great ideas for choosing what to blog about. Thanks for joining me on this journey of diverse content! Let’s shake up your strategy and start embracing new formats.